In Solo, we’re introduced to a fascinating new character. She’s all about liberation: she knows the plight of her people, she knows what’s holding them back, and she’s excited and able to fight for her own liberation – and others’. She will not let people in power, either over her or over others, rest easy in their oppression. They will be challenged at every turn. She is not afraid to use her strength against people who fight her and oppress her kind. Her name is L3-37, and she’s a droid. Normally, droids are not treated as anything more than appliances, really. Astromech droids are used for navigation in Rebel starfighters. Other droids act as servers, masseuses, or torturers. (Hey, someone has to do it, right?) But rarely do we see a droid in such, well, personable fashion. Since the introduction of the Legends character HK-47, disobedient droids have been growing in prominence, taking on a wealth of characteristics. From murder bots (Triple Zero and BT-1, for example) to droid liberationists like Elthree, Star Wars is forcing us to consider something new: maybe droids are more than just machines. Can they truly think, or even obtain sentience? Long ago, before the Legends reboot and the new canon, Becca Hughes asked us to consider what the franchise had to say about droids’ sentience and the way they were treated in secondary materials. She compared the role of Artoo and Threepio in the films (as characters in their own right, robots or not) and compared them to the battle droids (rather soulless automatons, created so that the heroes would have something not alive to destroy). Ultimately, these questions led her to investigate the role of Darth Vader, and his cyborg parts, and look into what it would mean for the franchise to feature a sentient, living droid. Would it break the franchise to consider a droid as a sentient, living being? One way that this question may “break” the narrative bounds of this franchise is by how it reflects on our heroes. I will look at the first question through the lens of C-3PO, followed by an investigation of K-2SO and L3-37. » Read more..
Over a year ago, on this very site, I wrote that I believed it was wrong for Mon Mothma to disband the New Republic armed forces only a year after the Battle of Endor. The Empire, defeated at Jakku, goes in two separate directions: the fleet jumps into hyperspace, hiding in the outskirts of the galaxy, while those remaining sign the Galactic Concordance. The Galactic Concordance states that the Empire may not raise an army, nor can they employ stormtroopers or engage in any weapon building/trafficking. When Starkiller Base fires upon the Hosnian system, the Resistance watches as the New Republic dies in flames. The New Republic, disarmed decades ago under Mothma’s watch, was unable to attend to the growing threat of the First Order, ultimately causing its destruction. Did Mon Mothma make the right decision? Pragmatically, I still hold that it was wrong to dissolve the New Republic’s military strength. But morally? I think I am siding with her now more than ever. It is hardly up for debate that Mon Mothma has had one of the greatest renaissances of the new canon. Making appearances in Rogue One, and also in comics, novels, and reference books like the recently-released Rebel Files, we’re finally seeing the fuller picture of Mon Mothma that we missed out on when her scenes were cut from Revenge of the Sith. One of the most pressing issues for her, in the canon, is maintaining the integrity of the Alliance and its members while pushing for the end of Palpatine’s tyranny. While Mothma’s role in many stories has been, essentially, handing out missions or arguing about proposed missions, she has a much more nuanced role in the new canon. She sees violence as a last-ditch effort in the fight to end the Empire’s tyranny, and has problems authorizing violent action on her account unless the full Alliance High Command comes to a unanimous consensus. The Alliance was still a political movement, and it would act and vote accordingly. Her personal views affect the way that she assigns these missions, and they may cause her to deny certain ones. » Read more..
For mainstream Marvel fans, big, universe-shattering events are becoming a dime a dozen. I remember my first experience with events, House of M, which ended with the Scarlet Witch wiping out most of the mutant population. Since then there has been a massive event seemingly every summer. Skrull infiltrators disguised themselves as famous heroes one year, while another year focused on the collision of the multiverse into a single world. Some gave single villains time to shine while others introduced brand new threats for the heroes. These events would shape the course of many comics for the rest of the year, leading up to the next event. Star Wars, on the other hand, has not had the same type of events in its two-plus years with Marvel. Rather than building to an event storyline, the Star Wars series have kept to crossover arcs. These are de facto events, just not advertised as such. The first, Vader Down, took place at the intersection of Darth Vader (as Vader fought Cylo’s creations) and Star Wars (as Luke continued his Jedi training.) 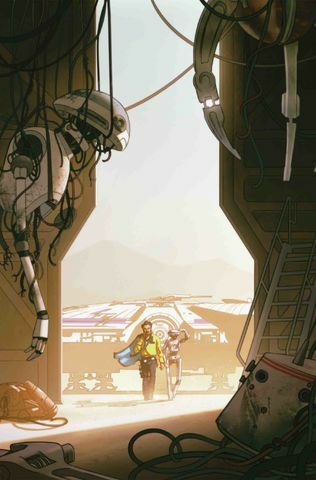 Stranded on Vrogas Vas, Darth Vader fought the Rebel Alliance as Luke and the murderbots explored a Jedi temple. 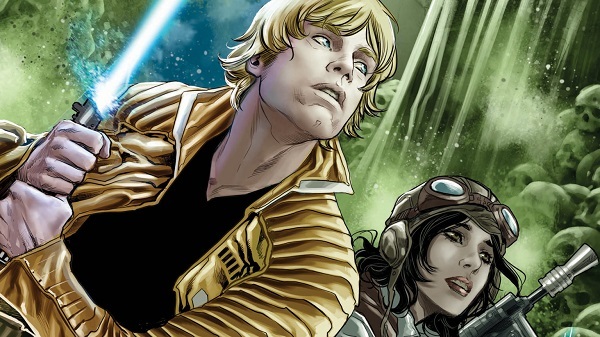 Recently, Star Wars and Doctor Aphra met in The Screaming Citadel, a gothic-esque storyline where Aphra’s search to make bank on a Jedi artifact tempted Luke to join her quest. These crossovers grew in scope from one to the next, and if they want to keep up their pace, I believe they should recalibrate a bit and make a few changes. Both Vader Down and The Screaming Citadel introduced a lot of concepts which were underdeveloped and left hanging. If a film left those threads open, we would expect a novel or comic to fill in those gaps. But, seeing as these events are comics, we don’t expect supplementary material – the event is generally all we get, so to speak. To allow for more breathing room and to further explore these crossovers, changes should be made. I think the Star Wars line should take two major points from mainstream Marvel. First, events should be set up much further in advance, while their consequences should be far more lasting. Second, they should be longer, allowing for a more in-depth event, in terms of both characters and plotting. » Read more.. When I woke up this morning, I tossed aside my A New Hope-themed comforter. In the shower, I lathered up with Suave for Kids – hey, it was my only option for finding shampoo with Kylo Ren on it, isn’t it? Before leaving for the morning, I brushed my teeth with Colgate for Kids featuring Rey and BB-8. 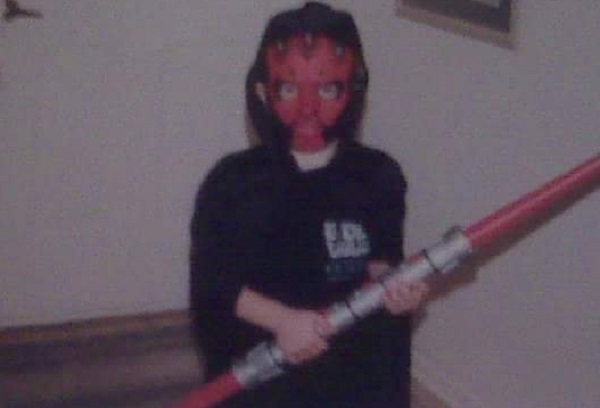 As the 40th Anniversary of Star Wars approaches, I thought it would be appropriate to reflect on what the franchise means for me – and what it can mean for others. One of the most powerful aspects of literature, in my mind, is its ability to be pedagogical. That is, fiction can teach us and change us. No fiction has shaped my life as utterly as the Star Wars franchise has. There are times I wonder what kind of person I would be if I had never seen Star Wars. Asking this aloud prompted my roommate to note that I wouldn’t have any t-shirts, at least. But I think there are a few other ways it has taught me and changed me. First, Star Wars taught me that ordinary people can do great things. Growing up, I wasn’t really the most confident person. I wasn’t the best looking, nor did I really apply myself to my grades as much as I could have. I wasn’t good at sports, and I needed remedial band practice between regular band practices. I think this caused a lot of existential despair in me, for a long time. But I think there are a few other ways it has taught me and changed me. First, Star Wars taught me that ordinary people can do great things. Growing up, I wasn’t really the most confident person. I wasn’t the best looking, nor did I really apply myself to my grades as much as I could have. I wasn’t good at sports, and I needed remedial band practice between regular band practices. I think this caused a lot of existential despair in me, for a long time. » Read more..